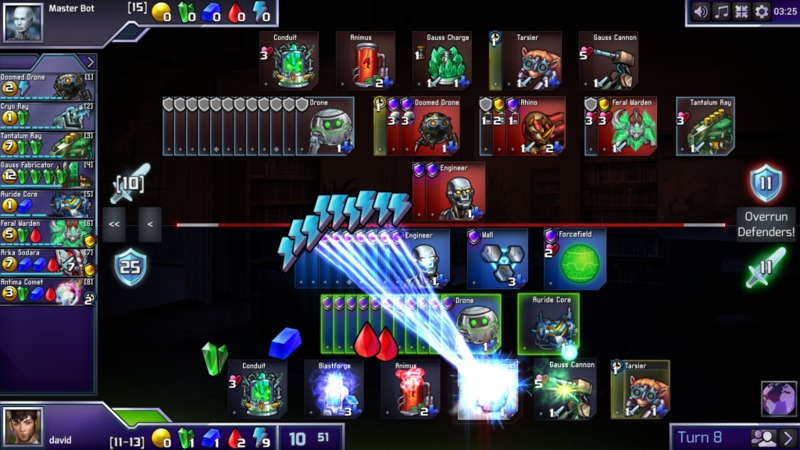 In 2014, Lunarch Studios launched a Kickstarter campaign which would inevitably raise $140,000.00 for a title known as Prismata – a hybrid game which meshes Deck Building and Turn Based Strategy. Now, with a combined eight years of development time, Prismata has been released (sort of) on Early Access. And while I readily admit that Prismata is one of those games that I honestly knew very little about prior to playing it for the first time (which is something of a shocker as it blends two of my favorite genres), the result may not have been entirely worth the wait. At least, not in the current state that it is in. 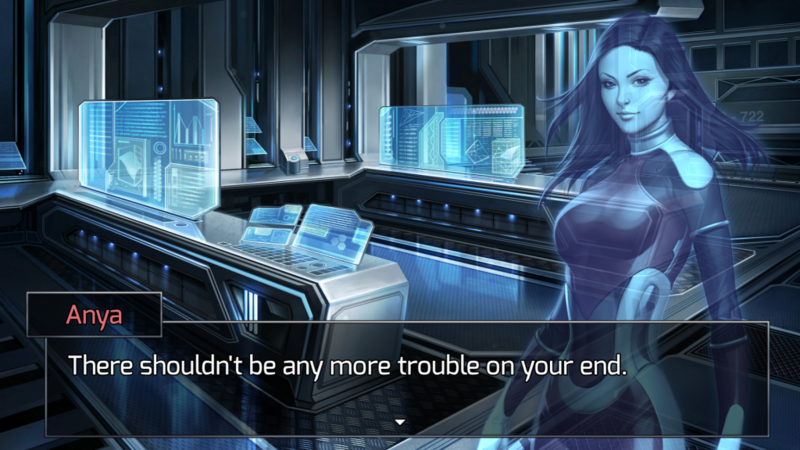 Prismata’s Campaign consists of five chapters, with the difficulty of each ramping-up considerable post Chapter One. The first chapter is essentially a two-hour tutorial, teaching you the ins-and-outs of the game’s mechanics. Normally, I object to such a prolonged level of hand-holding, but the systems at play here are surprisingly deep, and a touch more nuanced than I had anticipated. To put thing simply you are, more or less, base building…but with cards. Units you…build, produce resources. Resources are in-turn used to (you guessed it) build more units. The aforementioned strategy however begins once the game begins to open up and leaves everything up for the player to decide. Would it be best to hoard a metric ton worth of gold and pray that the enemy doesn’t go ham on all-out attack? Do you play on the defensive side while slowly building up an offensive force? The more you play the more strategies and options begin to present themselves. And is that particular aspect – ‘the how should I approach this’ scenarios, which is Prismata’s most brilliant component. Six hours or so into the campaign left me feeling that I was ready for something more, that what I had only been playing a primer for the real challenge. Again, not to say that the campaign isn’t difficult (Chapter 2 will destroy any sense of confidence you may have after completing the lengthy tutorial that is Chapter 1), but the campaign is hardly the main attraction here. Sure it does have a neat sci-fi aesthetic going on but the dialog is text only. And more often than not I found myself mashing the space-bar to get through the drivel and get to the action. Fortunately, there is so much more to explore than just the campaign. The Combat Training Mode offers you the chance to adjust your strategy to solve puzzles. PVP Mode allows you to test your mantel against players from all over the world. But while these modes are fun to dive right into (if only to get away from the campaign) Prismata’s Events are true star of the show, that is…when the damn thing works. Unfortunately, I encountered far too many hard crashes and even simple disconnection issues once I ventured away from the single-player campaign. That being said, PVP Mode and Events (again, when it actually works) are a whole of fun, and are most likely what will keep players engaged as the game is fine tuned throughout Early Access. I would also like to mention that if you have a touch screen PC or Laptop, play it that way. Using the mouse just feels a little clunky, but the swiping and tapping of the screens feels natural and intuitive. It makes me wonder how a game like this might fare on mobile platforms. 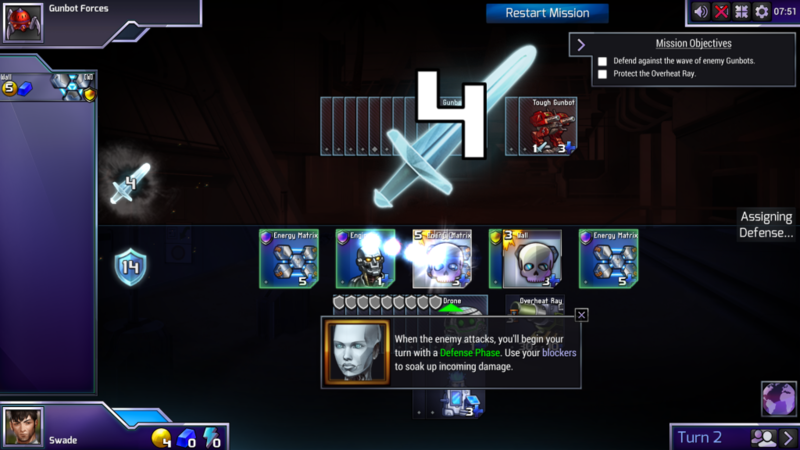 Overall, Prismata is shaping up to be a worthy contender in the card strategy genre. The only thing that is really holding it back is a bit of polish. As a title in Early Access I understand that the developers are going to take all that constructive community feedback and build on what I think is a winning concept. I look forward to the improvements and digging even deeper into some PVP and Events as the player base expands. Note: Review code for Prismata provided to Proven Gamer courtesy of publisher/developer Lunarch Studios, prior to its Early Access release. Game Stuff 30 – Is It Time to Talk Next Gen?